Conservative Party Leader David Cameron today announced that 41 Tory MPs will make further repayments of allowances worth £125,000. This is in addition to the £130,000 already repaid by other ‘Honourable’ Members. 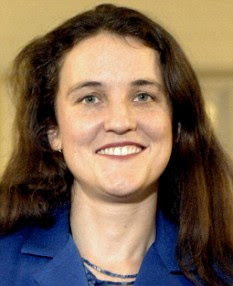 Although Chipping Barnet MP Theresa Villiers has agreed to give up the Additional Costs Allowance (ACA) in the future, she is not repaying the £16,000 stamp duty and other legal charges associated with the purchase of her second home last year. Nobody disputes that the claim was permitted under the rules. But these were rules which benefited MPs only and were not available to any of her constituents. We mere mortals are required by law to hand over ever larger sums of our hard earned cash in tax. Nobody likes paying tax but we accept it is a necessary part of living in a democracy. However, we expect our taxes to be used to benefit the whole country and not simply feather the nests of a few MPs. * The same message applies to Labour MPs Rudi Vis and Andrew Dismore who have both also made unacceptable claims under the ACA.